Enjoying a rare quiet moment and view of the old port. Before I left (and during my trip), people often told me that I was brave for going it alone around the world. 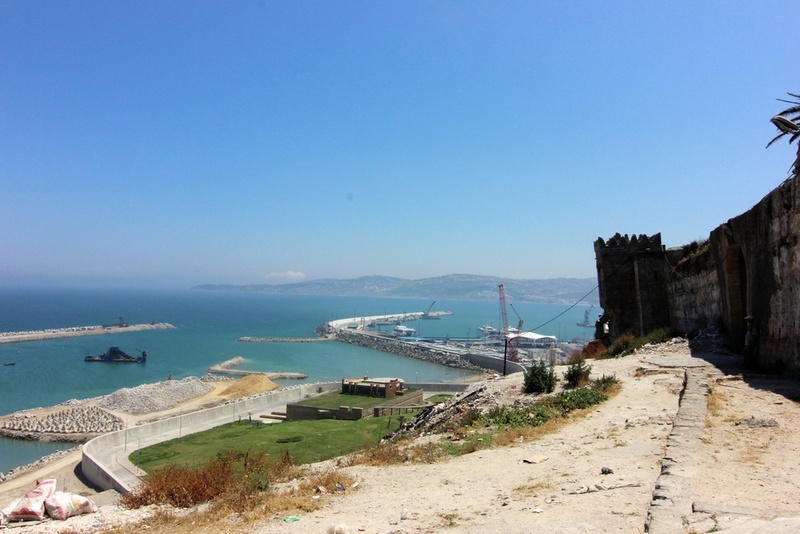 As soon as I exited the port at Tangier, for the first time I suspected that they might be right. 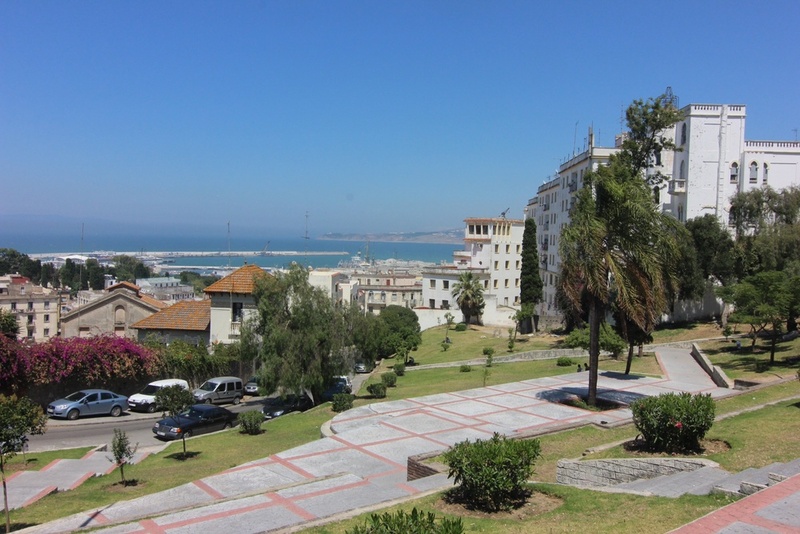 Tangier feels crowded and dense, but in a stagnant way that contrasts with, say, dynamic Tokyo or New York City that never sleeps. I suppose it's a combination of Ramadan and the summer heat, but the city is absolutely teeming with men that linger everywhere. And they don't just notice you; they notice you. It would be an understatement to say that I'm not used to being lavished with male attention, so what I encountered as soon as I stepped out of the taxi near my hotel in the old medina was unreal. Whichever way I turned I was greeted with "konichiwa" or "arigato," and sometimes shouts of "Hey, Japan!" followed me down the street. A Parisian friend had warned me about the yellow fever that runs rampant in Morocco, joking that I should shave my head and dress like a boy. After ten minutes of being out and about it didn't seem like such a joke anymore so much as a viable option. 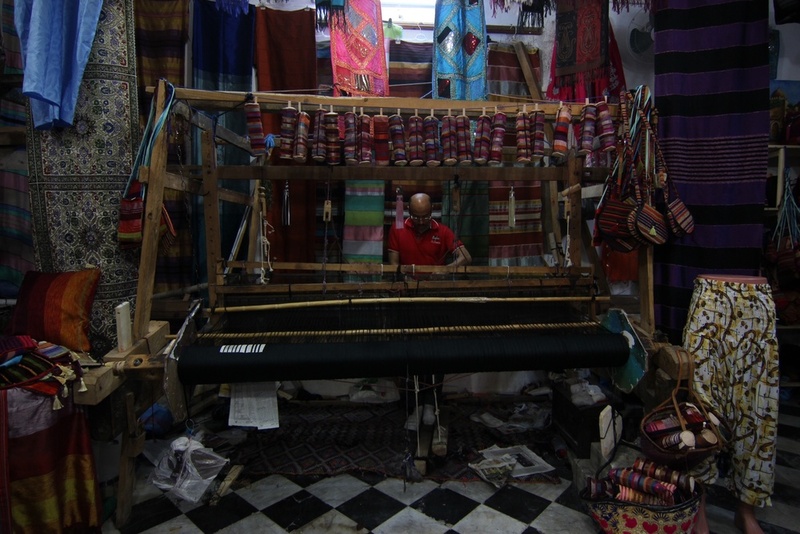 Shop where I bought my scarf. Wearing sunglasses brought a small level of comfort; the opaque lenses deflected the worst of the blatant stares and helped me avoid making eye contact, which I found only encouraged men to approach me. At the time of arrival I was wearing a sundress that covered my shoulders but left my arms and knees bare - a revealing outfit relative to how local women dress. So, taking a cue from them, I went shopping and bought some thin black pants and tunic tops - and a scarf for good measure. Back at the hotel I reorganized my suitcase, banishing all sun dresses, tank tops and shorts (i.e. the majority of the clothes I brought) to the bottom as the few pairs of pants, short sleeve and long sleeve shirts I had packed resurfaced. I felt better after I changed into pants and a loose short sleeve top, but the racial cat-calling persisted as I made my way towards the beach for dinner. No matter how hard I try, my stature and rounded nose and features make it obvious that I'm not from here. The new city feels spacious after the medina. But in the wide boulevards of the new city outside the medina, I realized that it wasn't just my ethnicity that made me stick out like a unicorn among horses - women don't generally wander alone. They're usually in pairs or trios, and if they are alone they're probably not for long - they have places they're trying to get to, unlike me. And they seem to drive or take cabs, rather than walk. Whenever I hesitated at an intersection, a man would appear out of nowhere to offer directions. Maybe their intentions were good, but I had been warned of a common scheme before - you follow them, and then they demand a fee for their services. My reluctance to stay and talk (okay, a couple times I practically ran away) must have come across as fear, because then they backed away, saying, "Don't worry, be happy." And, as it turns out, most of them are pretty harmless. Aggressively friendly, for sure, but above all just curious.